It's been ages since I held a pair of knitting needles in my hands. But I used to love knitting. I still have several old knitting patterns handed down to me by mother. They proved to be great inspiration, though I never really used them because the styles were always so strange to somebody growing up in the 1970s and the 1980s, especially in the 1980s when everything had to be just BAGGY! These 1950s ladies were wearing everything cropped close to their silhouette weren't they? Woman's Own Pull-Out Booklet dated June 7th, 1956. Another quizzical question to those who are clever with knitting needles is how to read vintage knitting patterns so that the different sizing and the wool or yarn used, can be adapted to the ones we have today. Women wear larger sizes and the wool on the market presently is far different from what those vintage woollens were made of back then when even the word synthetic was probably unknown. Take a look at this lady in red. Isn't she just picture perfect? She is wearing a Ridge-Pattern Twin Set. The jacket comes with tree-quarter sleeves worn over a sleevless blouse. And look at the detail - gold buttons, white belt, white gloves and white beads around her wrist. And red bag too plus white bead earrings and red, red lips. Notice the waves on her forehead and that arched eyebrow. Something more sporty. This is a Norwegian Rib Sweater which required at least 21 oz of Emu Scotch double knitting, 1 pair of needls size 8 and 1 pair size 6. "Today, a new generation of knitters has discovered the pleasure of creating wonderful things by hand. At many colleges it seems as if the whole campus is knitting, and knitting classes and forums are mushrooming: there are even knitting events held at theaters and nightclubs. The knitters of the 1930s, 1940s, and 1950s needed no reminding that knitting is hugely rewarding. They knew it could be glamorous too, and wore with pride the elegant garments they had crafted. Vintage designs for women are wonderfully feminine and flattering, and they have become highly collectible. But the frustrating truth is that old patterns rarely produce satisfactory results for today’s knitters: they are often frighteningly intricate, the yarns used then produced different gauges from today’s yarns, and the sizes are too small in relation to our modern physiques. In Vintage Knitwear, the designs have been carefully adapted for contemporary knitters: they use modern yarns, the patterns have been subtly simplified, and instructions are given for six different sizes. There are options for the novice, intermediate, and experienced knitter, with each pattern graded with one, two, or three balls of wool according to level of difficulty.The new garments are pictured alongside reproductions from the vintage patterns that inspired them. This charming book is sure to inspire knitters and would-be knitters to take up their needles in pursuit of the authentic elegance of a bygone era. 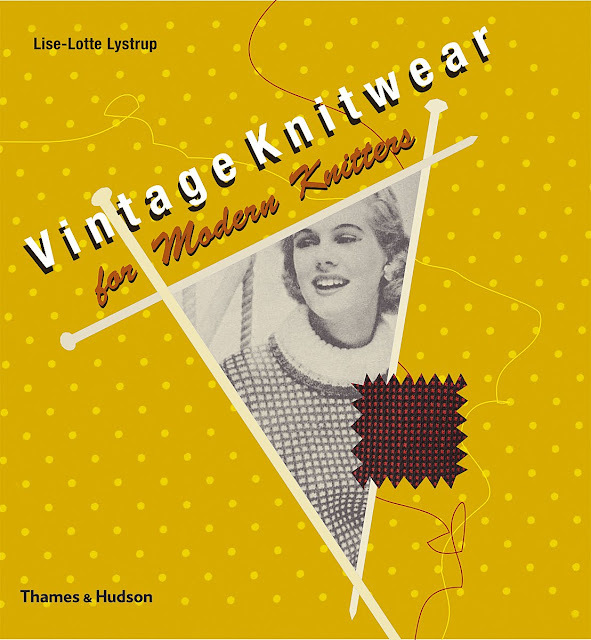 Lise-Lotte Lystrup’s company, Knitted Purls, specializes in re-creating authentic, hand-knitted garments for period dramas in film and on television." Reviewers and experienced knitters have raved about this book saying it is full of great knitting patterns, gives the chance to do vintage knitting minus the headaches and is said to be a well-thought-out book. Have any of you tried your hand at knitting lately? Hi there-I went through a knitting phase in October which sadly only lasted about 3 days, LOL!! I wish I could be more dedicated, but I need more patience! Great post! Splendid article! I'm just getting started in social media marketing & attempting to learn how to fully capitalize on social media marketing for my small business.